The CANM8 CANNECT POWER is an interface which is an ideal solution for connection to vehicles which feature CAN Bus wiring where a standard ignition-on reference is unavailable. This interface also provides an output on vehicles which feature start-stop technology, meaning that the output will not cancel when the vehicle enters start-stop mode. The interface also features "Key-In" detection with compatible vehicles enabling the ignition-on ouput to remain active when the ignition is turned off but the key remains in the ignition. 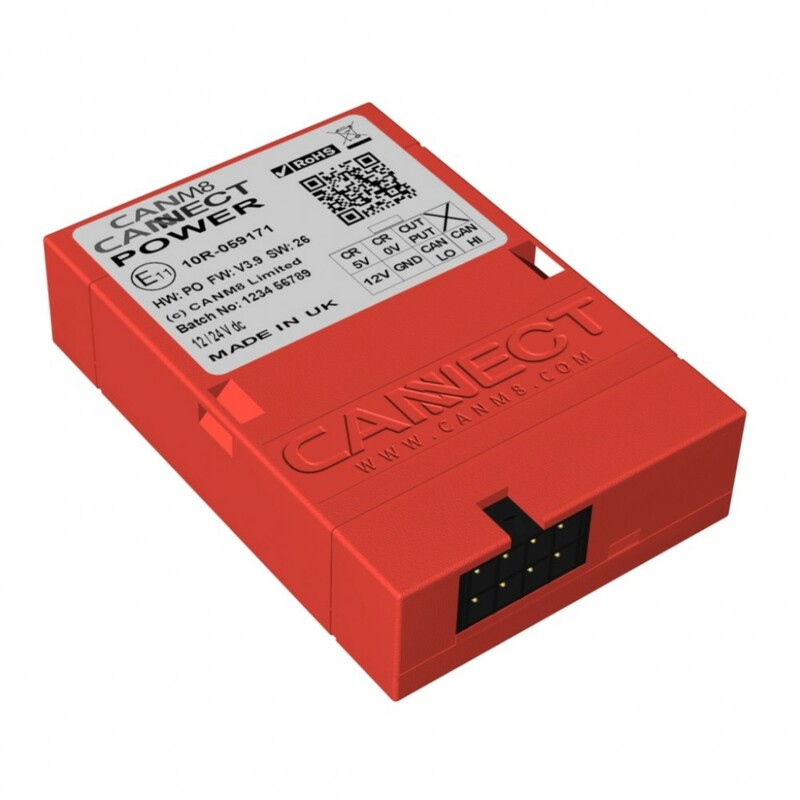 The CANM8 CANNECT POWER is ideal for use when installing any after-market equipment that requires an input signal when the vehicle ignition is switched on.